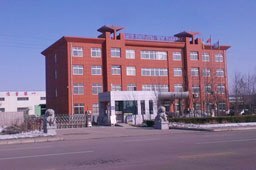 Vast is the leading of investment casting manufacturers in China. Vast specialized in casting processing with various surface treatment. We produce architectural hardware, marine hardware, machined parts, mechanical products, pumps, valves, glass spigots and so on. 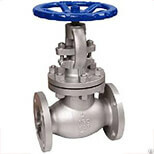 Casting materials mainly include stainless steel, carbon steel, alloy steel. Just send us your CAD or 3D drawing to get the one-stop tailor made service. We handle large and small orders so you need have no constraint if your requirement is on the lower side.We ensure that equal quality standards are followed for orders of all sizes and our team takes care of the quality of each spigot individually, irrespective of whether you order one or a thousand! Simply give us a sample or even a drawing of what you require and we will be more than happy to help you get the pool fencing spigots that you need. The precision can reach ±0.002mm. C.N.C. Computerized Numerical Control.Technic:CNC(3D&5axis),lathe, milling, drilling, turning, grinding, polishing. 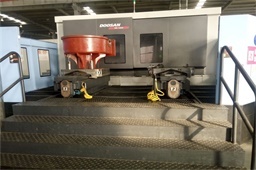 Weight range: 0.02 to 160 KG; Small orders accepted; Make machining service as your requirement or drawings. we would like to provide you OEM service. Our main OEM Precision casting products are castings in stainless steel, carbon steel, alloy steel products serve for many trade as food, chemical, medicine, marine, automatic, architecture etc. Main Products: Cam cleat, Rectangular base, Round base, Cup hoder, Base cleat, Hinge, Anchor, Hatch, Portlight, Cowl Vent, Handle, Hawse pipe, Bollard and so on. Customized products are welcomed. The process begins with production of a heat disposable pattern. This pattern is usually made by injecting wax into a metal die or mold. Pattern is injected in Horizontal Automatic Injection Machine. The wax patterns are attached by the gate to a central wax runner system. The runner system is called a sprue. Patterns, runners, and pouring cup compromise the cluster or tree. Radius is provided to all joints between pattern and runner. Same checked thoroughly before coating to avoid rejection due to sand inclusions. The shell building technique involves dipping the assembly into a ceramic slurry and then into a bed of extremely fine sand. After drying,, the process is repeated. Up to 4 to 6 layers may be applied in this manner. The completed shell is placed in a steam autoclave where the pattern melts and runs out through the gates and pouring cup. The ceramic shell molds must be fired to burn out the last traces of pattern material and to preheat the mold in preparation for casting, usually in the range of 800 to 1100 degrees centigrade. The preheated shell is filled with molten metal by gravity pouring. 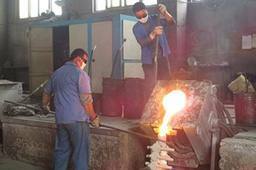 As the metal cools, the parts, gates, sprue, and pouring cup become one solid casting. After the metal solidifies and cools, the ceramic shell is then removed by vibratory methods or water blasting. Casting to be shot blasted to remove all small ceramic particles. Individual casting is removed from the cluster by means of a cut off wheel or welding cutting. Remaining gate protrusions are removed by belt grinding. Casting is heat treated as per specifications. Finally casting is sand blasted or glass bead blasted as per customer requirement, packed as per customer specification and dispatched. We will give you solution based on your CAD or 3D drawing within 24 hours !